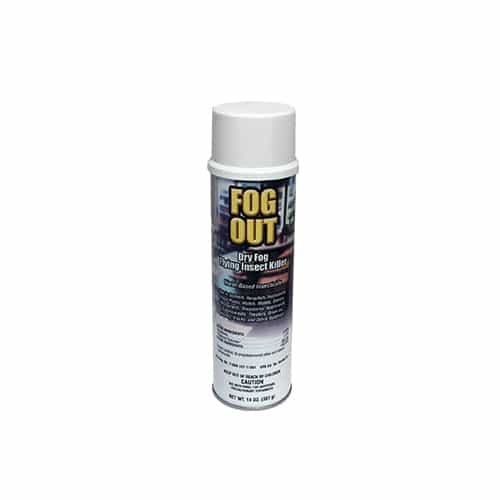 Fog Out | Pro Chem, Inc.
FOG OUT is an industrial strength, water based insecticide which has been created using the latest scientific technology. 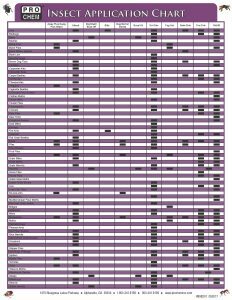 Ideal for use in food processing areas as well as many other interior applications. Its ultra-fine particle size ensures fast insect ingestion and rapid kill without the risk of stain and wet messy fallout. It is a violation of Federal law to use this product in a manner inconsistent with its labeling. Shake before using and at intervals during prolonged use. Hold container upright with nozzle away from you. Press valve down and spray as directed. To avoid possible staining of fabrics or surfaces, do not spray at close range. Flies, Mosquitoes, Gnats, Midges, Wasps, Hornets and Flying Moths (Millers): Close all doors and windows and spray room at the rate of 1 second per 1000 cubic feet. Direct spray to all parts of room, especially windows and other light sources which attract these insects. Keep nozzle in constant motion. Keep room closed for 10 to 15 minutes after treatment. Repeat treatment as necessary. See label for more detailed instructions.